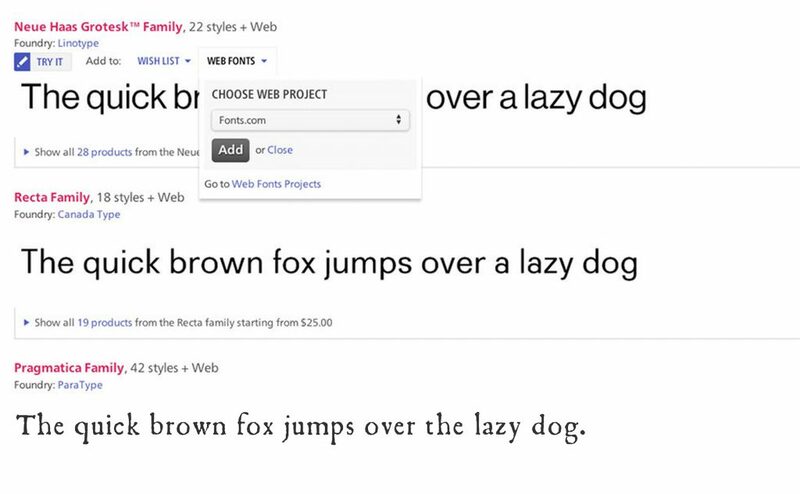 It’s hard to remember, now that we’re used to them, but the introduction of web fonts changed everything in design—including how type houses made and sold their products. No type house is bigger than Monotype Imaging, and big usually means “not especially nimble.” When Monotype Imaging asked us to redesign their flagship fonts.com website, they hoped we would get them on the web font train ahead of their smaller (and theoretically spryer) competitors. We did that. And we did more. Our team designed a variety of elegant yet delightfully playful font selection processes throughout the site, while stripping down and redefining the shopping cart process. 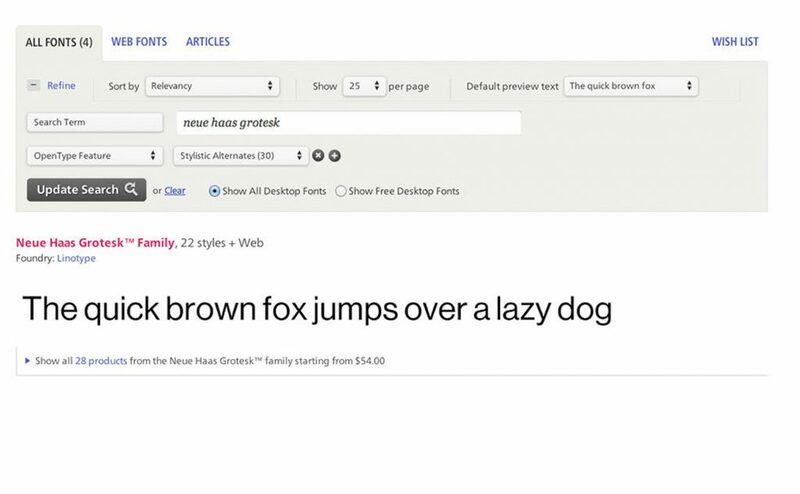 Fewer clicks and screens meant fewer abandoned shopping carts, and a more natural and fulfilling (and therefore less frustrating and distracting) experience for the creative professionals who use fonts.com. In addition to arriving earlier and with a better means of providing webfonts, Monotype was seeking love. Fonts are a creative business, and creatives give their hearts to boutiques. Winning fans comes more naturally to small type shops with quirky outputs than it does for industry giants like Monotype (or Microsoft, or IBM, or other big corporations). The hero image in its initial incarnation. We humanized a giant corporation by reminding its creative customers that its products, at their heart, were about one designer finding inspiration for one client, one project. To humanize Monotype and remind designers that, big company or not, Monotype was every bit a house that design built, we created an extensible design system focusing on hero images (before that was even a thing) created by individual designers. What better way to bring life to fonts—and to return the spark of life and community to the designer/company connection—than by featuring the work of (often little-known) practitioners from the design community who found creative inspiration in Monotype’s font offerings? The gallery of ever-changing hero images brought fame to individual designers, and creative luster to individual fonts. Nearly ten years (and two redesigns) since we did this work, the hero image at the top is going stronger than ever, sales are strong, and Monotype grows from strength to strength.